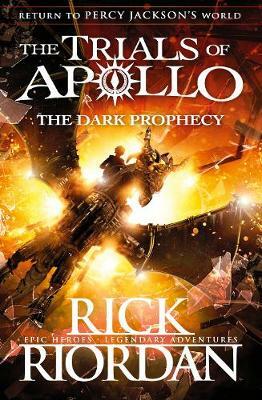 Penguin presents the unabridged, downloadable audiobook edition of Camp Half-Blood Confidential by Rick Riordan, read by Jesse Bernstein. 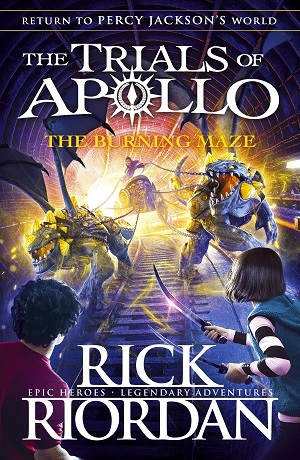 Camp Half-Blood FYI will follow on the heels of THE DARK PROPHECY, a treat for readers who want to stay in the world of Apollo and Percy Jackson. 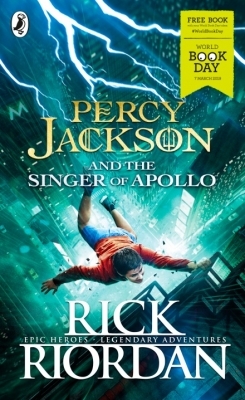 This funny insiders guide to the demigod training camp in Long Island will be narrated by none other than Percy Jackson himself, and other favourite characters will be heard from, too. In response to an awful camp orientation video created by the god Apollo, Percy Jackson and other residents of Camp Half-Blood answer such questions as What is this place? and Do I get to keep the T-shirt? Newbies can check out the section on the Divine Cabins, read up on Magical Landmarks, and consult the chapter of Training Arenas. But Camp Half-Blood Confidential explores much more than just the buildings and grounds. It includes info that can only be learned from those who live there. For instance, campers do not always co-exist in peace and harmony. The camp is not run with superior efficiency. Prophecies do not flow forth with great regularity. Sprinkled throughout are stories from heroes who have called Camp Half-Blood home or just passed through on their way to places unknown. Chiron himself introduces the book with a brief history of training based on his millennia of experience. And, of course, divine words of wisdom from the god Apollo himself are included, because the demigod authors would prefer not to be struck down by him, thank you very much.